This Easy Asian Peanut Dressing is so versatile, and so easy, you’ll wonder why you haven’t made it before. It is fast, savory, and delicious. I’ve often spoken about how much sauces matter when you start to eat low carb or keto. If I know I have some kind of piquant flavor waiting for me in the fridge, I’m much more likely to just make a piece of chicken or a pork chop and not worry about how to cook it. All I have to do is decide what flavor I want today. Will it be a coriander and coconut chutney that accompanies the fish? 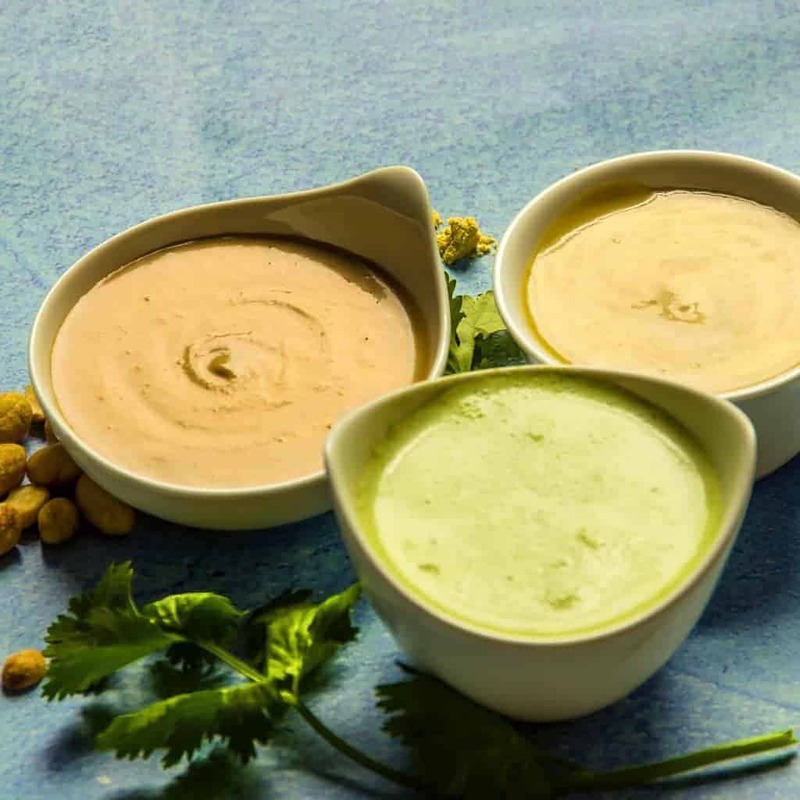 Or shall I go with the creamy jalapeno cilantro dressing? Shall I put in a spoonful of the Meyer Lemon Chutney on my plate? How about this easy Asian Peanut Dressing that goes as well with grilled chicken as it does with plain veggies in a salad? I love the “throw things in, mix and eat” type of recipes and this is definitely one of those. I think my next endeavor needs to be Thai Chicken Saté to go with this peanut dressing, although I’ve also been thinking of a Chinese cold sesame chicken style dish (except you know, peanut instead of sesame). 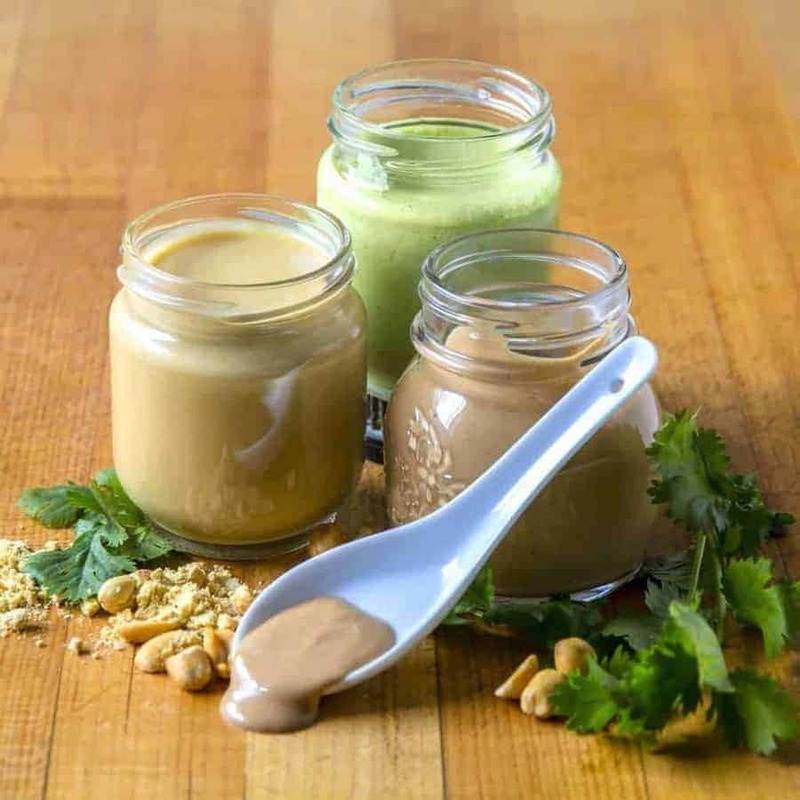 This easy Asian Peanut dressing is fast, savory, and delicious. Throw things into your blender, whirl, and eat. Serve with vegetables, leftover cooked chicken, or as a salad dressing in your favorite salad. Instant Pot users love these must have accessories. Also, check out these top 20 gadgets for foodies for yourself or your favorite aspiring chef. Hi – first of all, thank you for all the wonderful recipes. I am slowly learning how to cook through your site. In the peanut sauce recipe, possible to substitute the skipper for PB2? Thank you!